A few years out of high school, one of my best friends since 6th grade, Liz, decided to make an experimental football helmet cake for her Super Bowl Party. One thing led to another, and now she owns her own bakery in Arkansas where we grew up! I’m just thankful that she shares her recipes. You should be too, because she has so kindly allowed me to share them on The Helpmates! This is my first post with one of her recipes, but definitely not my first time making something of her’s. About every other week you’ll find me frantically texting her for one recipe or another. Good thing for me she has them all memorized so she’s pretty quick on the response time. Upside down caramel apple pecan pie is basically the pie version of a dump cake, so nobody can tell if you mess up a little here or there. You just say ‘It’s upside down, it’s supposed to be messy’. Liz normally uses 6-7 apples per recipe. I already had the rest of my ingredients on hand except the apples, but I had 4 Granny Smith apples leftover from a previous recipe. I didn’t want to go make a grocery run just for apples, so I just decided to make do with what I had on hand. I just made sure I didn’t waste any of the apple when I was pealing and chopping and I ended up with just over three cups worth! Liz is pealing and chopping 280 apples this week, so she doesn’t have time to mess with being that careful on each apple. The reason I added the extra brown sugar and sugar is because my green apples were very tart, they needed the extra sweetness. Use your best judgement based on which apples you buy. Liz uses half green and half red. Grease a 9″ or 9.5″ pie pan. 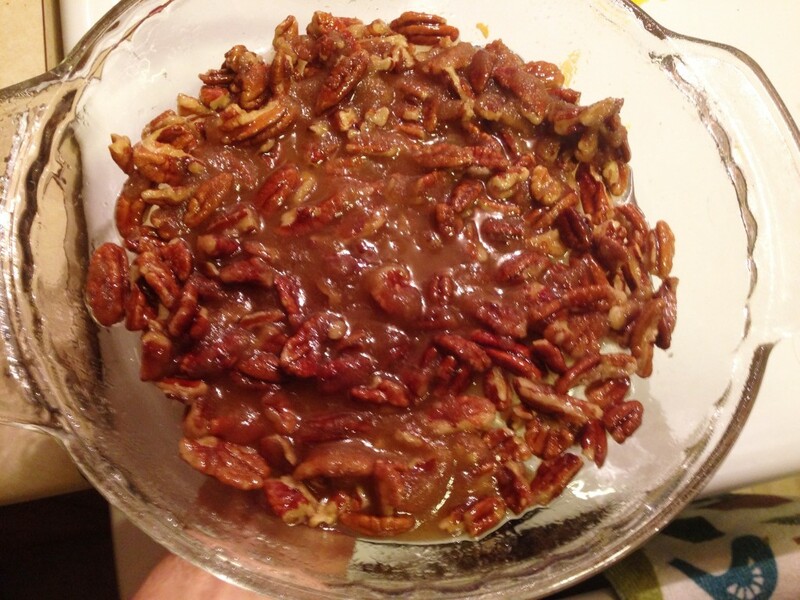 Combine pecans, melted butter, and 1/2 cup of brown sugar, pour into your pie pan. 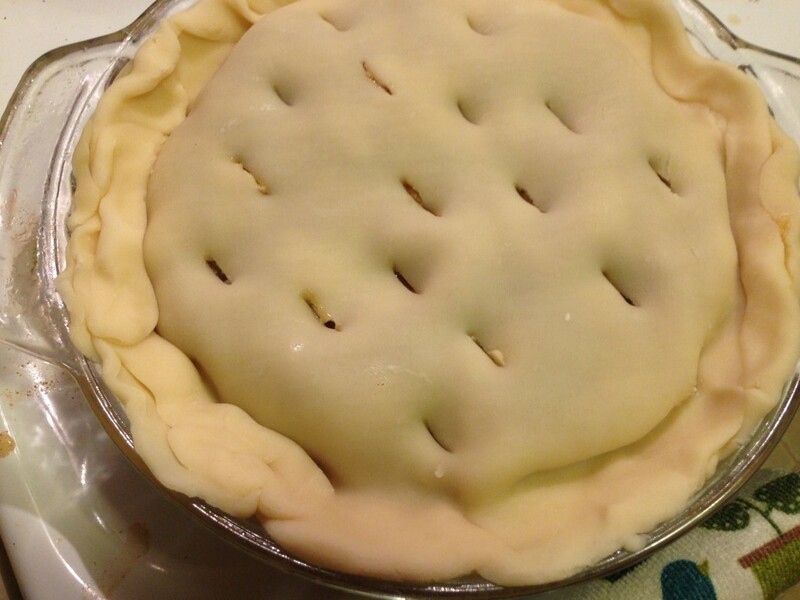 Place one of your rolled pie crusts on top of the pecan mixture, making sure it goes up the sides as well. Mine had a few cracks when I unrolled it, so I patched them with the excess dough from the sides. 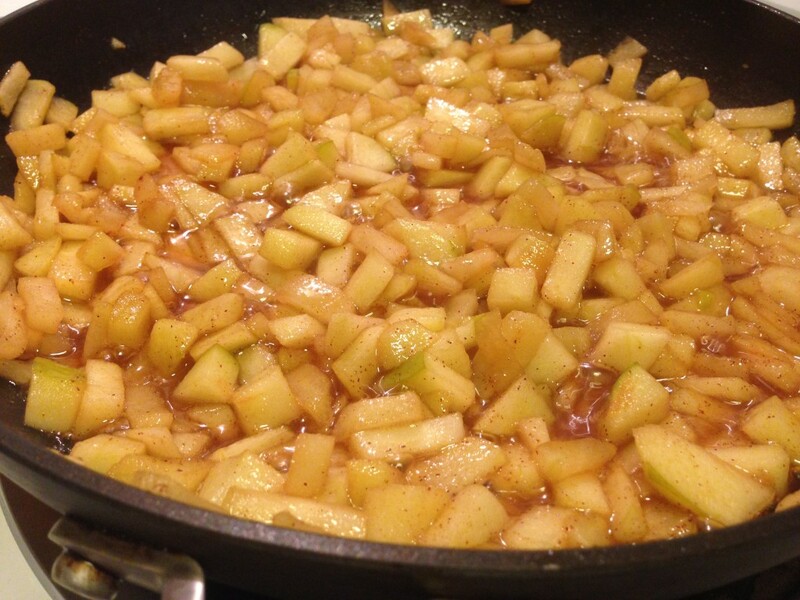 In a large skillet, cook your apples with 3 tablespoons butter, apple juice, cinnamon, 3 tablespoons brown sugar, and 3 tablespoons sugar. 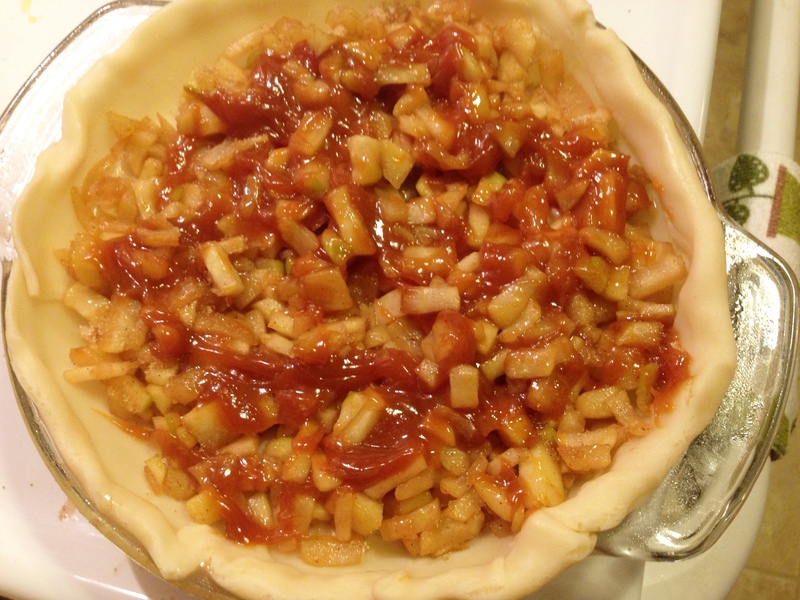 When done, drain juice from apples and pour them onto your pie crust. 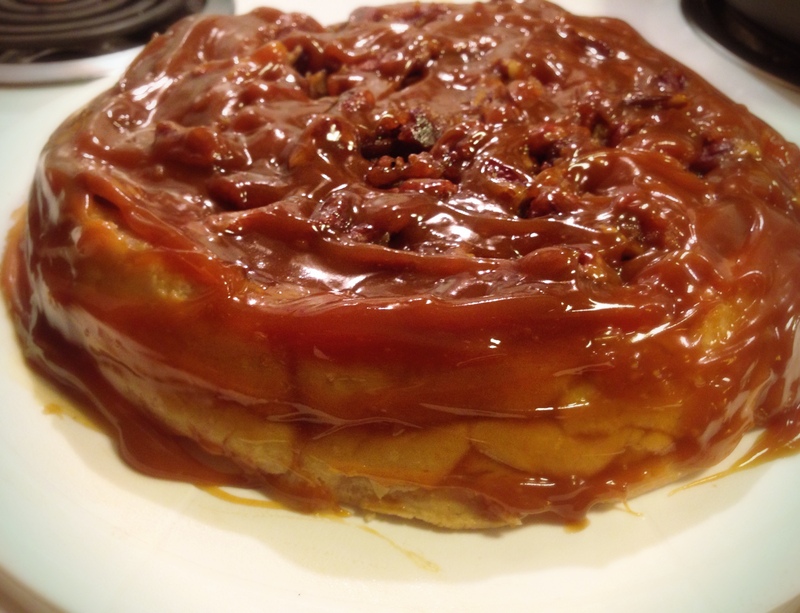 Sprinkle 2 tablespoons brown sugar on top and drizzle with caramel. 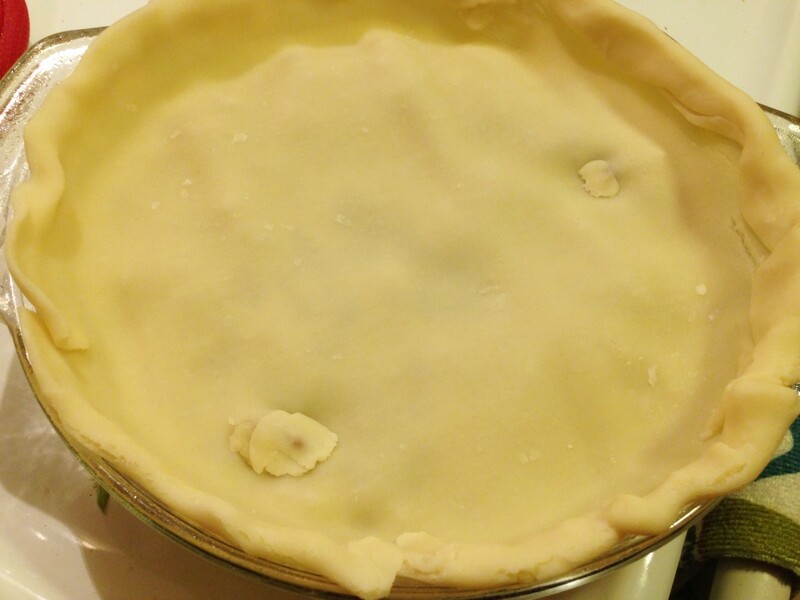 Place second crust on top, sealing with the edges of the first crust. Poke holes in it to vent. 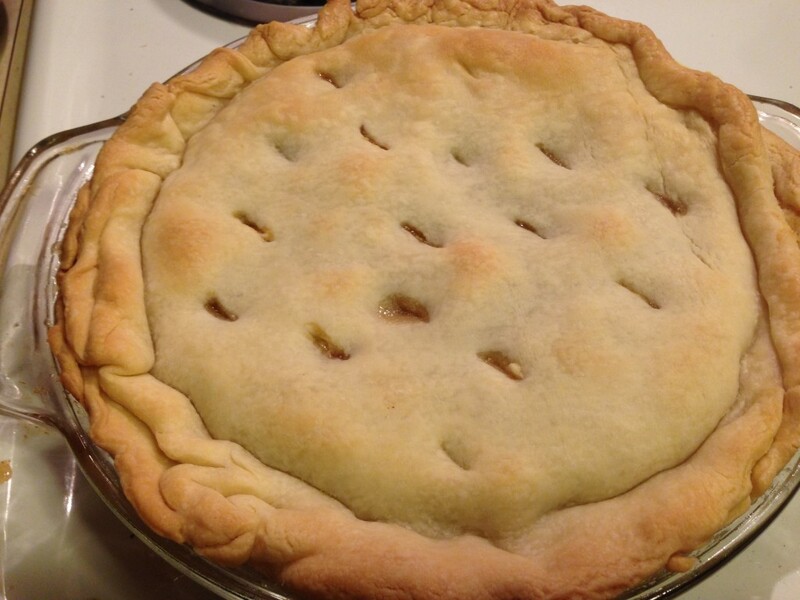 Let pie cool, then flip over onto a flat plate. 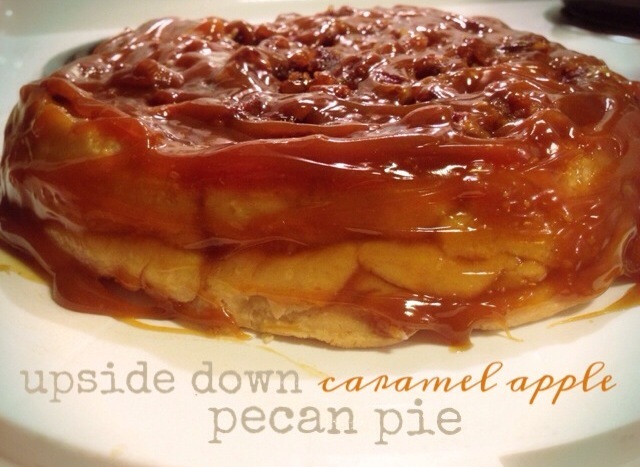 If you use a beveled one, the pie might crack open and caramel will spill out. Drizzle with however much caramel makes your heart content. I used almost the whole tub! What can I say? I love sugar! Serve hot or cold, either is scrumdiddlyumptious! Just whatever you do, serve in one sitting. There should be no leftovers.